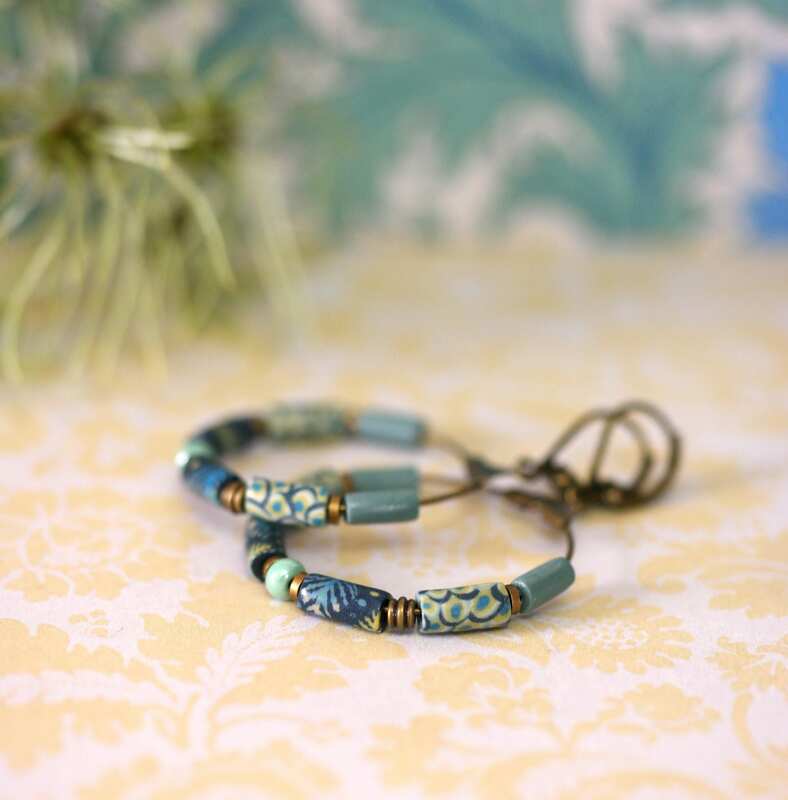 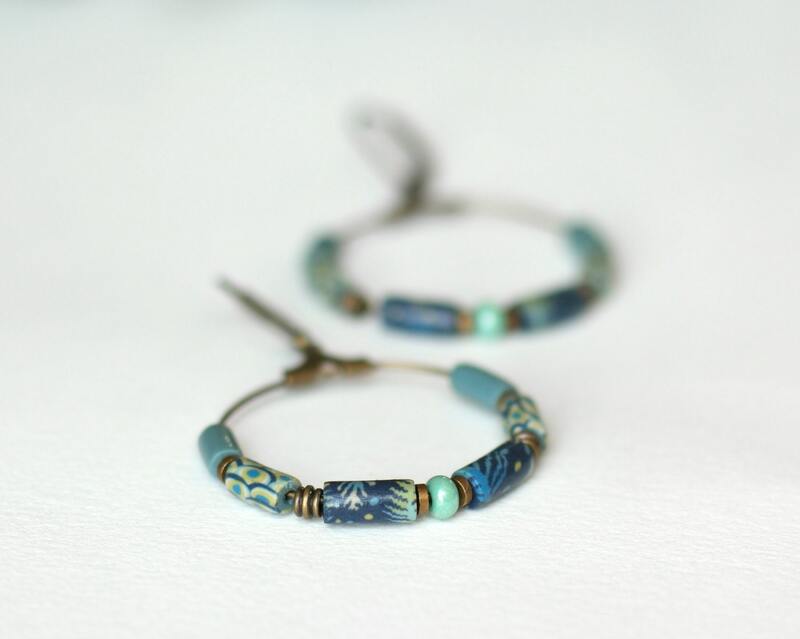 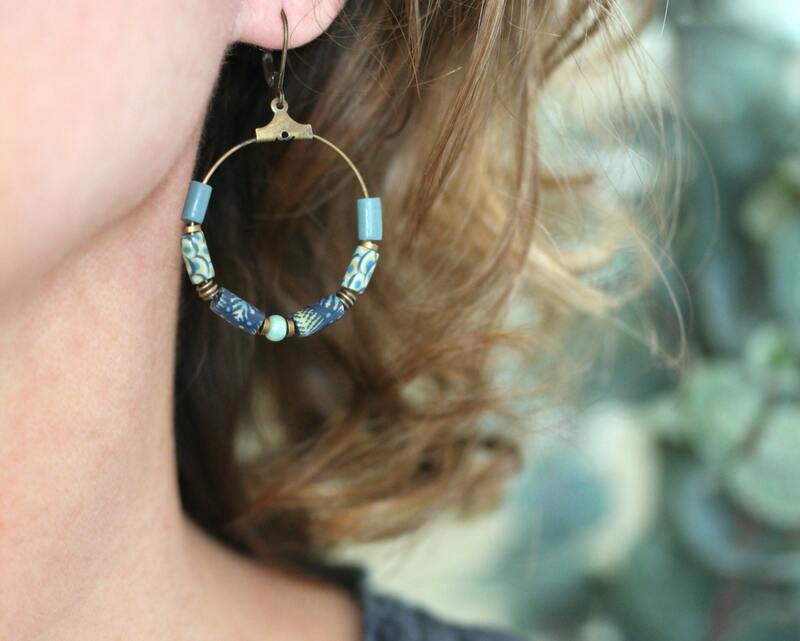 Light and colorful, these hoop earrings feature long beads with three nice and coordinated tones and patterns from blue to yellow and green on brass. 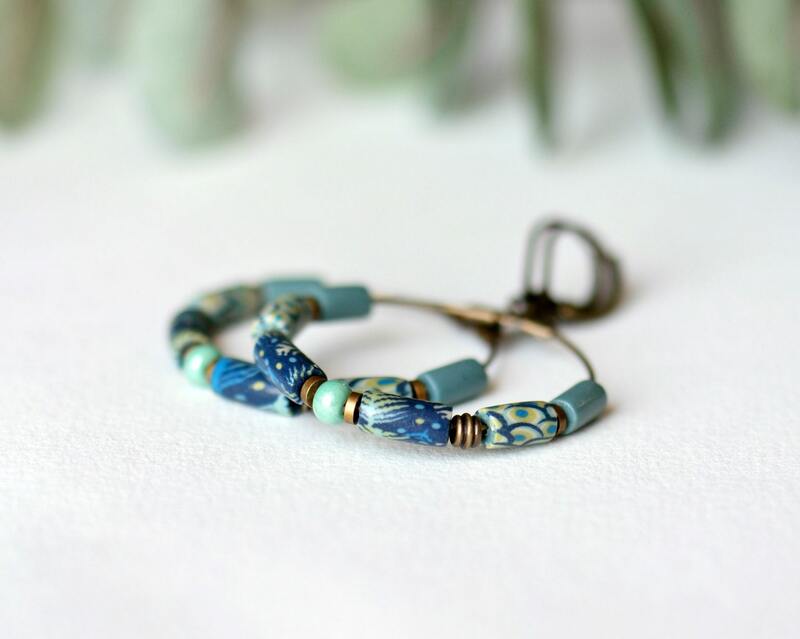 I entirely created the blue and yellow polymer clay patterns, using modelling techniques that I have implemented in my workshop. 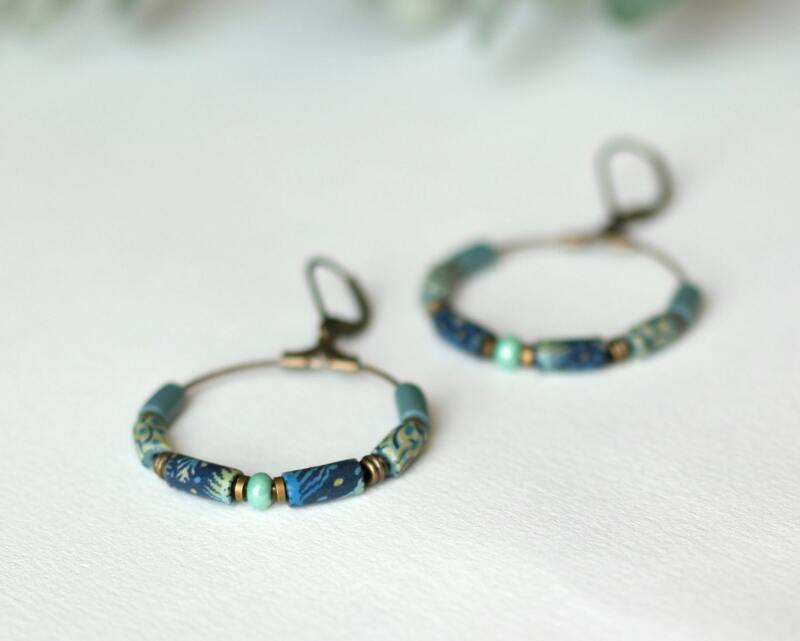 With this material, I finely shaped the long beads elements on the hoop earrings, that were then baked, sanded and varnished.